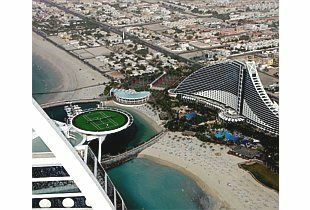 For information about the stunning Burj Al Arab hotel, please visit www.burj-al-arab.com. 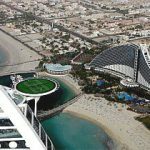 Unless otherwise noted, all photos are from the Burj Al Arab wesite at: http://www.burj-al-arab.com/tennis/ – click here to the these images in high-res. 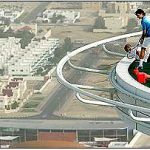 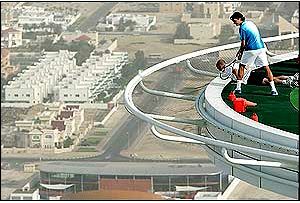 In preparation for the 2005 Dubai Duty Free Men?s Open, the helipad of Burj Al Arab, the world?s most luxurious hotel, was converted temporarily as the world?s highest tennis court. 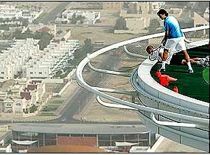 Tennis legends Andre Agassi and the world No. 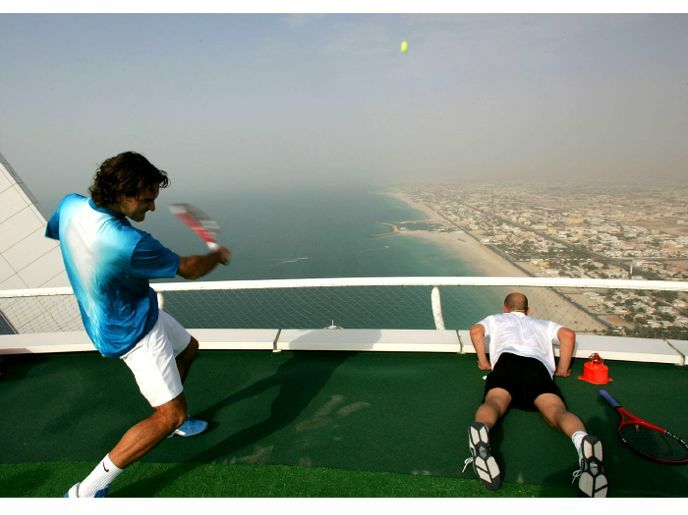 1, Roger Federer, couldn?t resist the temptation to have a warm-up session or two. 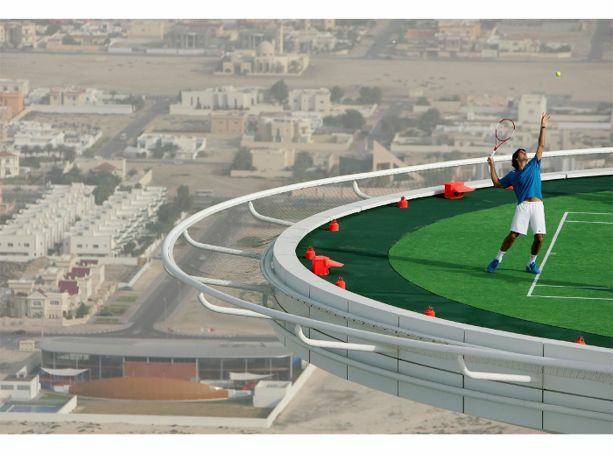 The only 7-star hotel in the world is set on a man-made island, and the converted helipad-turned-temporary grass tennis court was 692 feet, or 321m, high in the air. 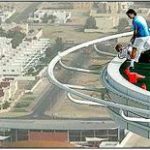 Both players were in Dubai in February, 2005 to compete in the US$1 million Dubai Duty Free Men?s Open, which is the first round of the two-week Dubai Tennis Championships. 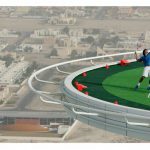 The Burj Al Arab Hotel Helipad-Turned-Tennis Court was a special project, specific to the Jumeirah properties and brand, and therefore detailed information is not available. 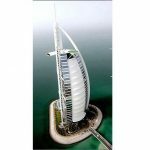 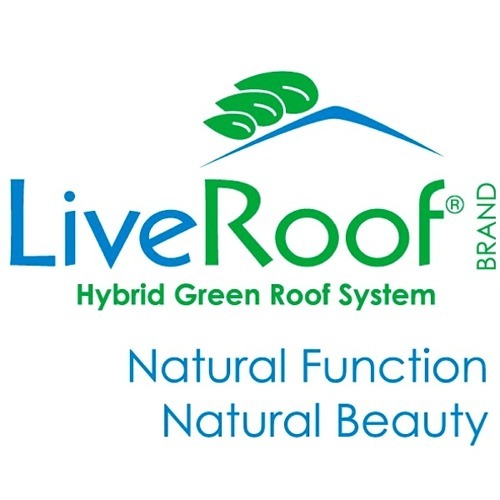 The project was worked on and designed closely with internal teams and is not to be used for any external events. 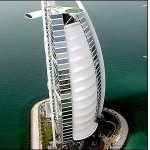 According to the Informed Traveler Newsletter, “Soaring above Dubai’s skyline like a majestic, billowing sail, the world’s most luxurious hotel rises from a man-made island in the middle of the blue waters of the Arabian Gulf. 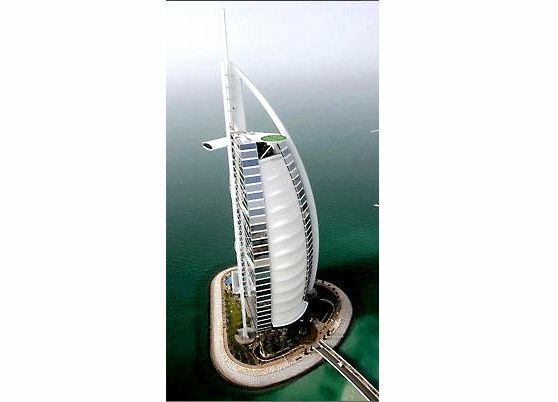 Burj Al Arab is popularly known as the only 7 star hotel in the world, surpassing the highest quality rating available in the system (that bestows 1 to 5 stars). 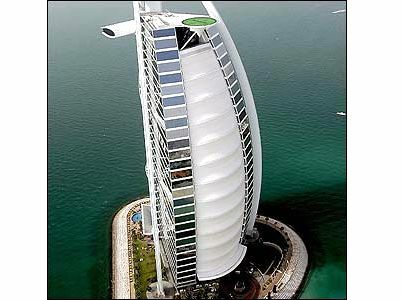 Indeed, this all-suite hotel reflects the finest that the world has to offer, priding itself on highly personalized service: from the moment guests are picked up at the airport in a chauffeur driven Rolls Royce, to the discreet in-suite check in, private reception desks on each floor, and the team of highly trained butlers who provide around-the-clock attention.